New to Analytics? Start here. 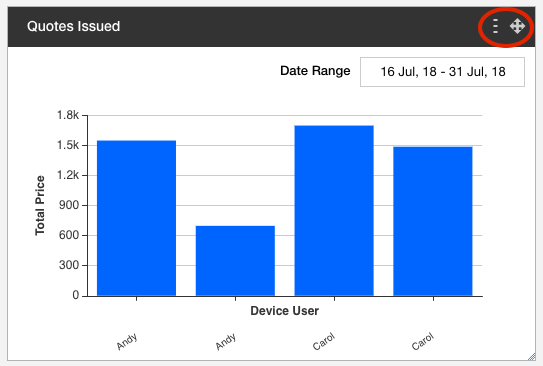 Once you have created a chart in your Analytics Dashboard, you will be able to choose from a number of preset ranges or add a custom range to filter chart data. 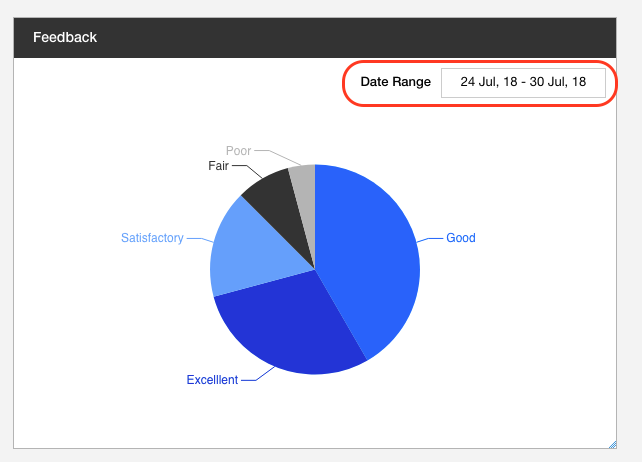 On the top right-hand corner of your chart, select your "Date Range" to manipulate the time frame of your data. Changing this will display data from submissions made only within the date range you select. 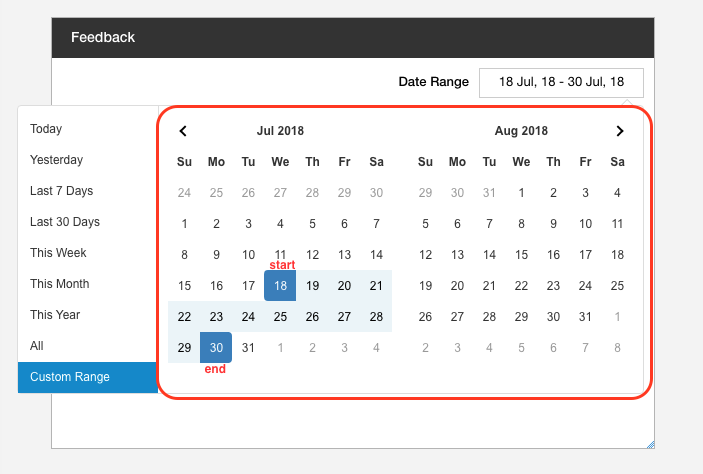 "Custom Range" will display a date-picker. Here you can select a start date and end date to display the date range of your choice. If no submissions for this form field were made in your selected date range, you will see the following message. After hovering over your chart, the menu and a cursor drag icon will appear in the right corner. To view the menu options, click the menu icon. 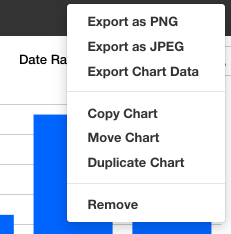 Export as PNG - Triggers a download of the chart in .png format. Export as JPEG - Triggers a download of the chart in .jpeg format. 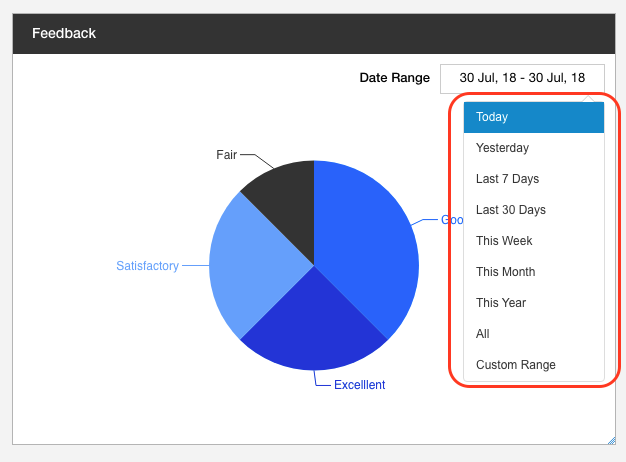 Copy Chart - A sub menu will appear with the option to copy the same chart to another Dashboard in your account. See more steps below. Export Chart Data - Triggers a download of the chart data in .json format. Move Chart - A sub menu will appear with the option to move the chart to another Dashboard (this will remove the chart from the current Dashboard). See more steps below. Duplicate Chart - A copy of the chart will be placed on the current Dashboard. Remove - Deletes current chart. This cannot be undone. 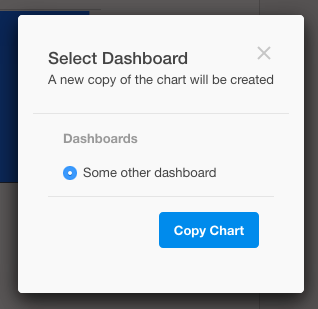 Copy Chart - Select another Dashboard in your account to copy the chart to. When ready, click "Copy Chart". 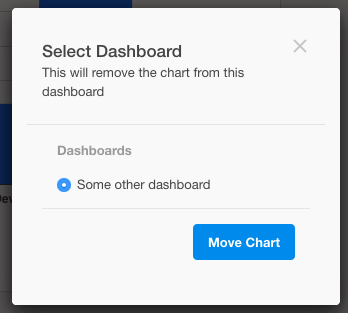 Move Chart - Select another Dashboard to move the chart to. This will remove the chart from your current Dashboard. When ready, click "Move Chart". To drag and drop the chart to a new location, press and hold the drag icon while moving cursor to a new location. If you have any questions, please reach out to support@devicemagic.com.